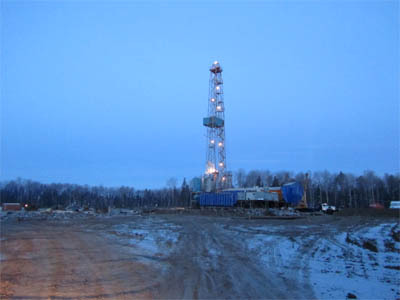 Following the completion of the Ripiano transaction in April 2015, whereby Petrogrand acquired an indirect 49% interest in three oil producing fields in the Komi region of Russia, Petrogrand's new management team has finalized the forward heading operational plan for maximizing the value of all Ripiano's production fields. Since the acquisition of the Komi assets, the production has through implementation of production enhancement techniques increased from 1,516 barrels of oil per day ('bopd') in April to 1,883 in August, corresponding to an increase of 24%. Petrogrand's 49% share of the production in August amounted to 923 bopd. The investment programme on the Sosnovskoye field is progressing. Preparatory works to support an efficient drilling campaign, including construction of the well pad and access road, are planned to be completed in October. 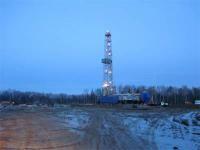 The drilling contract for Sosnovskoye is currently being tendered and the first well is expected to be spudded in the fourth quarter 2015. The cost of this project has benefited significantly from the devaluation of the Russian ruble.